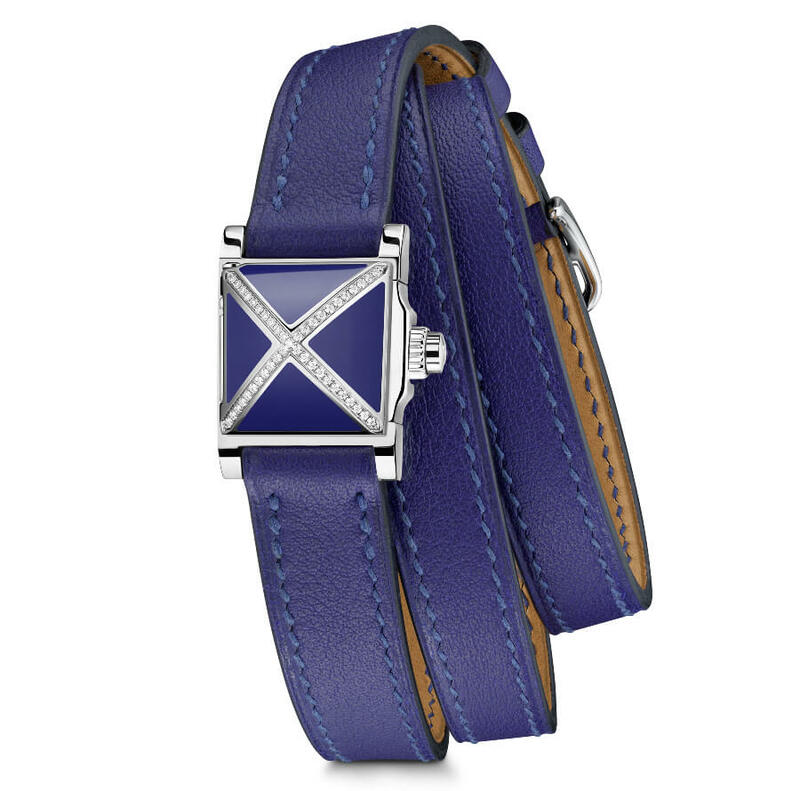 Originally developed to reinforce hunting dog collars, pyramid-shaped studs appeared on belts from the 1930s onwards. 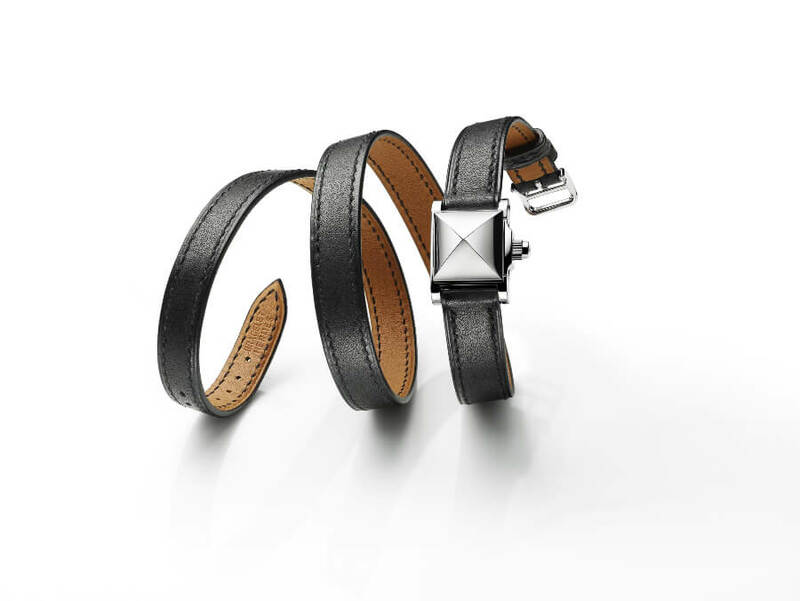 They then inspired the Hermès dog collar bracelet, before appearing in the Médor secret watch, which conceals the hours and minutes beneath its cabochon, or reveals them with a press on the crown. 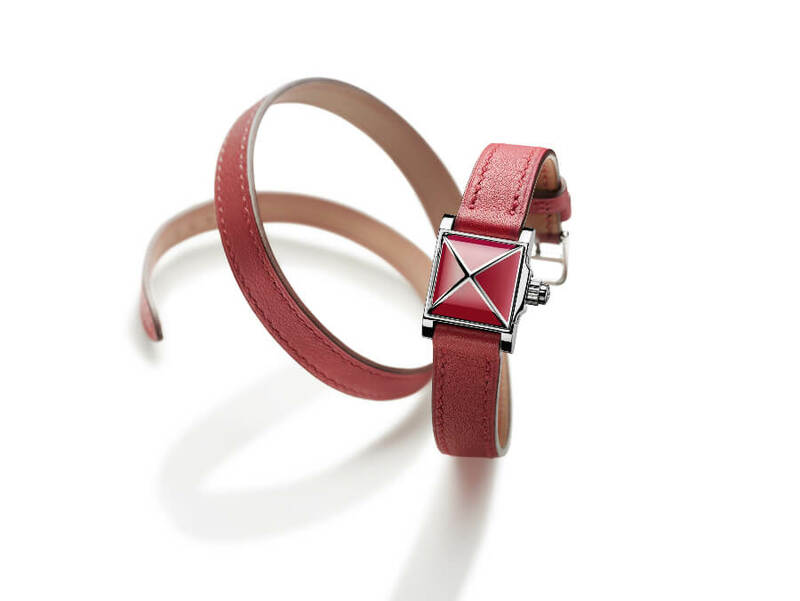 This year, the Hermes Médor Rock watch features three new versions fitted with a triple tour strap: Mirror-polished, lacquered or lacquered and discreetly cross-set, the pyramid-shaped stud with its four domed facets forms a cabochon housing an understated silver-toned or lacquered dial swept over by slender facetted hands. 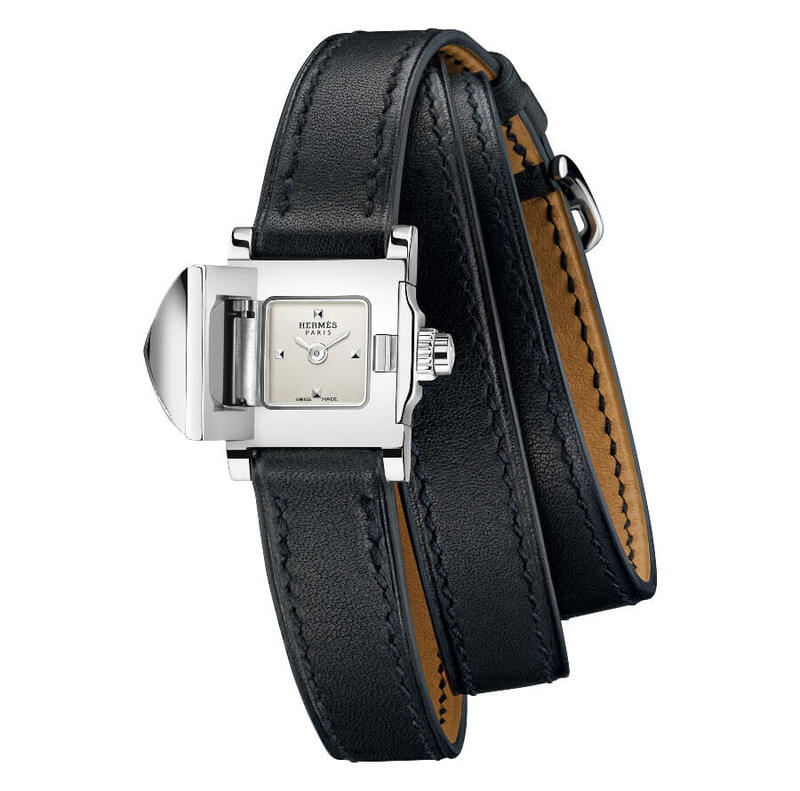 Identical to the dial, the white, black, red or blue lacquer on the cabochon is finely applied over the various facets of the stud. 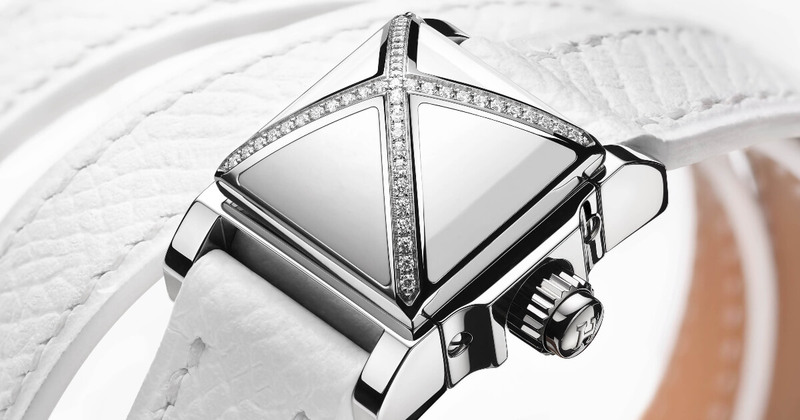 It is then heated and polished to achieve the deep and intense radiance that lights up this watch creation. 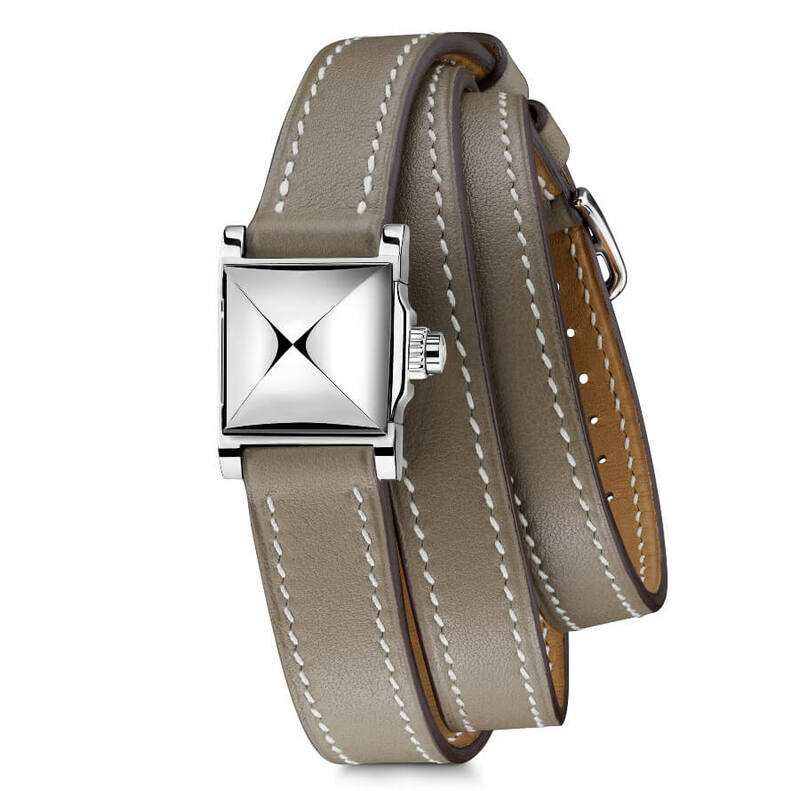 This vividly colourful Very Small Model (16 x 16 mm) tempers its rebellious spirit with a triple tour smooth calfskin strap in colours matching the shimmer of polished steel or the glossy nuances of the lacquered pyramids. 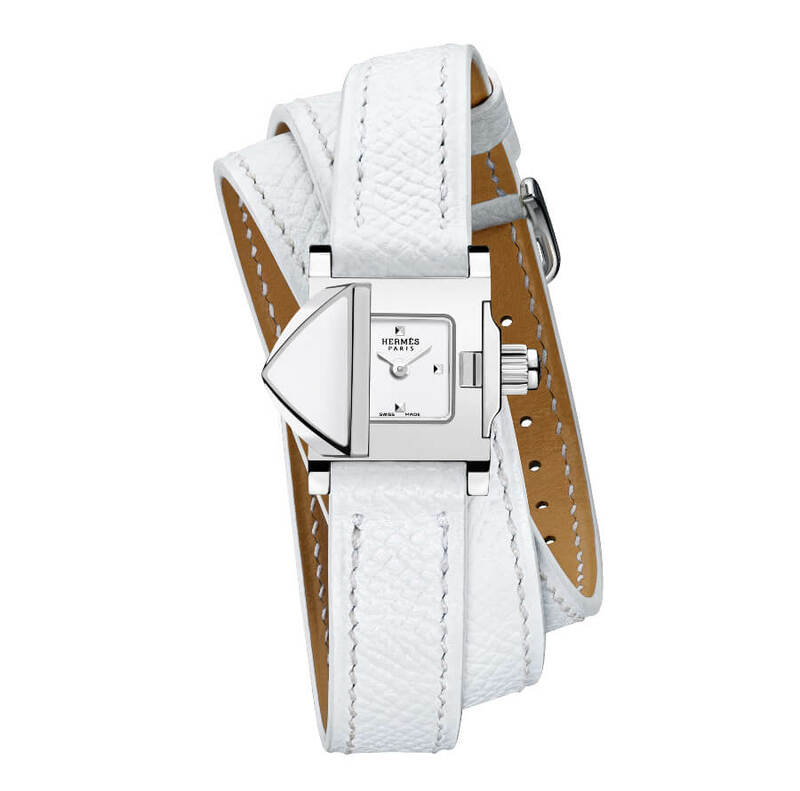 Bright hues such as orange, capucine, vermillion red, or more muted variations such as inky blue, etoupe or natural Barenia with contrasting stitching, complement the bold palette of straps paired with the Médor Rock watch.